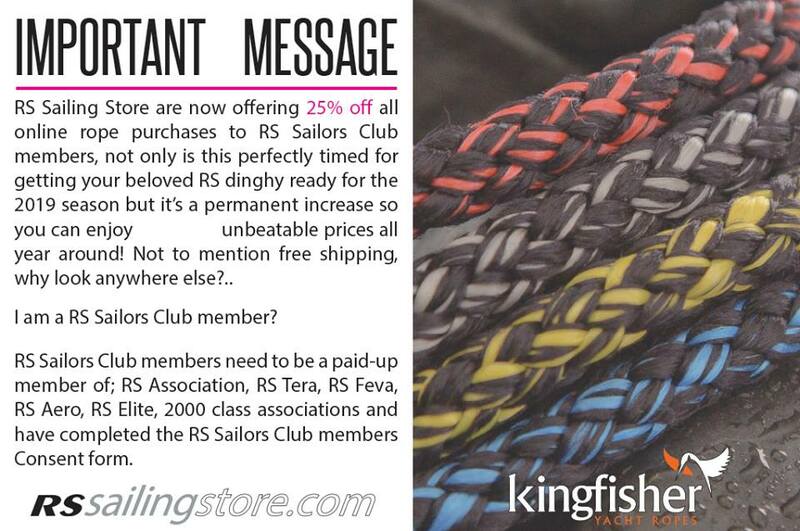 are now offering 25% off all online rope purchases to RS Sailors Club members, not only is this perfectly timed for getting your beloved RS dinghy ready for the 2019 season but it’s a permanent increase so you can enjoy unbeatable prices all year round! Am I an RS Sailors Club member? RS Sailors Club members need to be a paid-up member of their Class Association and have completed the RS Sailors Club members Consent form, link received with membership. • RS Sailors Club members 2019 Winter Sail Discount Scheme.